Professor of theoretical nuclear physics (retired) at the University of Oregon where he served since 1968. He is a pioneer of the new paradigm of science called “science within consciousness,” an idea he explicated in his seminal book, The Self-Aware Universe, where he also solved the quantum measurement problem elucidating the famous observer effect. Goswami has written several other popular books based on his research on quantum physics and consciousness. In The Visionary Window, he demonstrated how science and spirituality could be integrated. 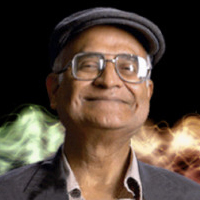 In Physics of the Soul, Goswami developed a theory of survival after death and reincarnation. His book Quantum Creativity is a tour de force instruction in how one might engage in both outer and inner creativity. Goswami’s book, The Quantum Doctor, integrates both conventional and alternative medicine. In Creative Evolution, Goswami presented a resolution between Darwinism and the intelligent design of life. In God is Not Dead, Goswami demonstrated that not only are science and religion compatible, but that quantum physics proves the existence of God. Challenging us to utilize the transformative power of quantum physics to change ourselves and our social institutions, Goswami in How Quantum Activism Can Save Civilization guides us into a solution space of the new quantum science based on the primacy of consciousness to broach problems stemming from materialism, such as economic meltdowns, terrorism, and global warming. A yoga monk with Self-Realization Fellowship for 35 years. Yet, his story began at age 17, when his interest in Eastern sages and Western saints took him to Egypt, Greece and India to photograph ancient archeological sites and interview researchers. 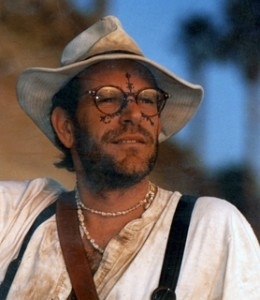 He produced videos on the mysteries of Macchu Picchu, Teotihuacan, Luxor and Delphi. As Swami Mitrananda, he became an international public speaker and mentor to many well-known truth seekers, including Beatle George Harrison. Craig’s class explores the timeless science of intuition. He demonstrates how adepts of all ages transcended mental limitations through scientific meditation practices. Who would have thought that one man’s childhood obsession could turn into his lifelong mission? Years ago, when other kids were busy with Gameboys and skateboards, a young Amish Shah spent much of his time absorbing books and documentaries on ancient civilizations. Today, as the founder of the Ancient Explorers movement, Amish leads a global online community of avid adventurers in the exploration (and subsequent public revelation) of buried secrets, ancient wisdom and forgotten technology hidden within earth’s most mysterious historical hotspots. His most recent mission? An internet film on the sunken city of Dwarka, India, revealing evidence of earth’s oldest civilization… and proof of technology so advanced, it may force mankind to rewrite our history books. Early in his career, Amish earned a spot on the Inc. 500 list by founding and selling several successful online advertising and technology companies. He now applies his community-building skills to not only galvanize the Ancient Explorers movement, but also to found the Shah Education and Exploration Foundation (SEEF): a complementary nonprofit that empowers and educates the communities surrounding important historical locations. Through the Ancient Explorers, Amish’s ultimate goal is to shape humanity’s future for the better, by understanding the wisdom of the past. Plato’s account of the lost city, continent, and civilization of Atlantis, set forth in the Critias and Timaeus dialogues, makes several controversial claims. First, that there existed an advanced civilization possessing the arts of agriculture, metallurgy, and written language predating all known civilizations of equal complexity by 10,000 years. Secondly, that this civilization was destroyed with such violence and finality as to extinguish virtually all traces of its existence. Third, that the Earth is struck by recurring cycles of destruction at long intervals apart. If Plato were to be vindicated, the implications would be far-reaching in nearly every field of knowledge. Join me in a journey to a land now submerged beneath oceans miles deep, but which once beheld the light of the sun, pouring forth infinite abundance…to a land before time, to Atlantis. 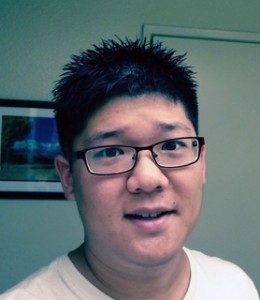 Brad Yoon is a software engineer in the healthcare sector and co-founder of a mobile application development business. Yoon, while attending university, took general education courses in anthropology and political philosophy that reawakened his fascination with the mysteries of our past. He is also an amateur scientist with special interests in underwater archaeology, ancient mythology and literature, and Greek science and mathematics. 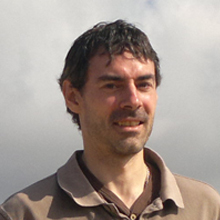 John is a physicist and senior scientist at Scientific Applications and Research Associates. He specializes in technology for the generation and application of intense electromagnetic and acoustic fields of wave energy. He has appeared on Discovery Channel, The History Channel, BBC, and ABC’s 20/20. 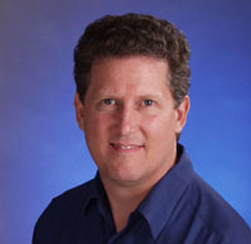 John researches bio-electromagnetism, rotating magnetic fields, and electromagnetic energy. John has special interest in the research and applications of lasers. 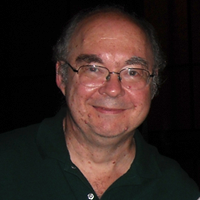 His work in acoustics has been written about in US News, World Report, Defense Weekly, and Popular Mechanics. John is an avid research of ancient cultures and believes that some pre-dark age civilizations may have known of natural electromagnetism and other fundamental forces that affect man. In his lecture, founder of Megalithomania and ancient sites explorer Hugh Newman, reveals how recent discoveries in Britain are confirming what Prof. Alexander Thom said all along – that stone circles are astronomically aligned, are part of a greater geodetic survey, encode sophisticated measurement systems, and were built using advanced geometry. Over 1000 stone circles have been recorded in Britain, but sites such as Gobekli Tepe in Turkey, Carahunge in Armenia, and Msoura in Morocco, are rewriting the dating and origins of the stone circle builders. We will take a look at who may have built them, and why. The purpose of stone circles will also come under the spotlight in this presentation, as subtle earth energies, underground water, and unusual geology, as recorded by previous CPAK speaker John Burke, have been detected at these sites. Hugh will also look at the early theories, interpretations, folklore, and effects these circles have had on antiquarians, artists and researchers since they were put back in the spotlight by John Aubrey and William Stukeley in the 1600′s and 1700′s, with some of their early insights now being confirmed by modern science. 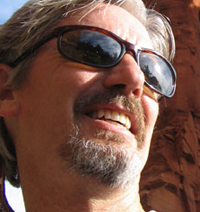 Hugh Newman is an author, speaker, world explorer, tour host, and co-founded Megalithomania conferences and tours. As an author he has researched the Indigo child phenomenon and published a book on the subject. His most recent book, Earth Grids has been published by Wooden Books. He has released numerous DVDs of his multi-media presentations. He has articles published in the Leyhunter, Mindscape Magazine, World Explorer Magazine, the Circular, the Spiral, the Heretic, New Dawn (Australia) and numerous other publications. He has spoken at events in the UK, Malta, France, Peru, Egypt, Bosnia, Australia, South Africa, Mexico and North America. He has appeared on BBC TV, Sky Channel 200, Bosnian TV and the History Channel in the last three seasons of Ancient Aliens (that is currently being aired on History 2). 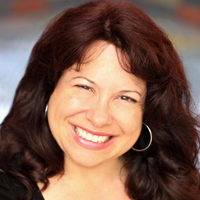 In her new book, Viral Mythology, popular scholar and author Marie D. Jones reveals the fascinating phenomenon of “archeoenigmas”, which are ancient images, stories and symbols that impart metaphysical truths and scientific information. Hidden within the art, the song, the texts and the built structures of ancient times is a vast treasure chest of wisdom that is as relevant today as it was eons ago. Is it possible that some of the superpowers described in ancient legends, science fiction, and comic books are actually real, and patiently waiting for us behind the scenes? Are we now poised for an evolutionary trigger to pull the switch and release our full potentials? Can yoga and meditation unleash our inherent supernormal mental powers, such as telepathy, clairvoyance, and precognition? Is it really possible to perceive another person’s thoughts and intentions? Influence objects with our minds? Envision future events? 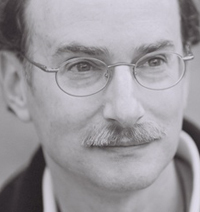 Dean Radin, Chief Scientist at the Institute of Noetic Sciences (IONS) and bestselling author of The Conscious Universe and Entangled Minds, presents persuasive new experimental evidence for the existence of such phenomena. He takes us on a thrilling scientific journey and challenges outdated assumptions that these abilities are mere superstition. Focusing on Patanjali’s mysterious Yoga Sutras — 2,000 year-old meditation practices believed to release our extraordinary powers — Radin offers powerful evidence confirming that sometimes fact is much stranger, spookier, and more wonderful than the wildest fiction. Author of The Yugas, speaking on the ancient Indian cycles of time. Author and lecturer, Joseph studied ancient Western cultures at the University of Colorado and ancient Eastern cultures at UC Berkeley. He has had a keen interest in ancient history since grade school. He has taught and lectured on the principles of Eastern philosophy for over thirty years. Joseph lives with his wife at Ananda Village, a spiritual community in Northern California. Joseph, also known as Puru, is a founding member of Ananda Sangha and has served in many leadership and teaching roles. 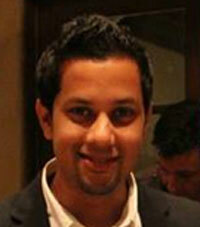 Joseph is also the founder and CEO of Tristream, a web development, marketing and application design firm. Joseph who co authored the book, “The Yugas, Keys to Understanding Our Hidden Past, Emerging Energy Age, and Enlightened Future” will be speak on the ancient Indian cycles of time. Laird’s presentation will focus on reconciling ancient Chinese creation traditions with those of Egypt, Africa and India. 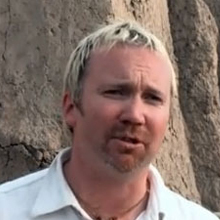 Laird Scranton is an independent researcher of ancient cosmology and language. His studies in comparative cosmology have served to help synchronize aspects of ancient African, Egyptian, Vedic, Tibetan, Chinese Polynesian and other world cosmologyies, and have led to an alternate approach to reading Egyptian hieroglyphic words. His articles have been published in the University of Chicago’s Anthropology News academic journal and Temple University’s Encyclopedia of African Religion, and have been taught as curriculum at Colgate University. He appears in numerous documentaries including John Anthony West’s Magical Egypt DVD series and Carmen Boulter’s The Pyramid Code. He has been interviewed on a wide range of radio shows including Coast-to-Coast with George Noory and Red Ice Radio in Europe. He is a frequent speaker at conferences across the United States. 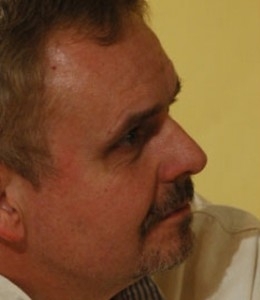 Laird is the author of numerous books on ancient cosmology, language and other mysteries. Dr. Robert Schoch of Boston University speaking on Gobekli Tepe, the oldest intact temple complex known to man. Professor, geologist, author and scientist famed for re-dating the Sphinx, will speak on Gobekli Tepe, the oldest intact temple complex known to man. Dr. Schoch’s latest research, put forth in his newest book, Forgotten Civilization: The Role of Solar Outbursts in Our Past and Future, points to the astronomical cause of the demise of antediluvian civilizations, as well as the scientific and archaeological evidence that supports his conclusions. 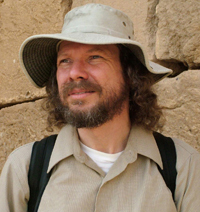 Dr. Robert M. Schoch, a full-time faculty member at the College of General Studies at Boston University since 1984, earned his Ph.D. (1983) in Geology and Geophysics at Yale University. He also holds an M.S. and M.Phil. in Geology and Geophysics from Yale, as well as degrees in Anthropology (B.A.) and Geology (B.S.) from George Washington University. Walter will provide an overview of the cycle of the ages, look at some of the recent astronomical discoveries that point to a new understanding of our solar system that is more in line with ancient thinking, look at a few archaeological sites and artifacts of different ancient epochs, and relate these to possible levels of consciousness as described in the myth and folklore of ancient Greece and India today. The talk will include new slides and findings from the Binary Research Institute. Cruttenden is a researcher of ancient cultures, author of the books Lost Star of Myth and Time and Great Year Adventures and the writer producer of the award winning documentary The Great Year, narrated by James Earl Jones. He presently serves as the Director of the Binary Research Institute where he explores the cause and consequences of solar system motion, particularly the “precession of the equinox” according to modern science and ancient cultures. He is the founder and director of the annual “Conference on Precession and Ancient Knowledge” (CPAK) and he hosts the radio show and podcast, “The Cosmic Influence”.